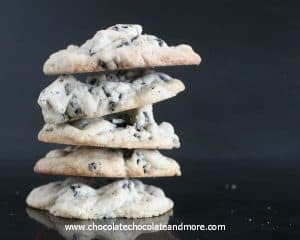 Chocolate Springerle Cookies - Chocolate Chocolate and More! 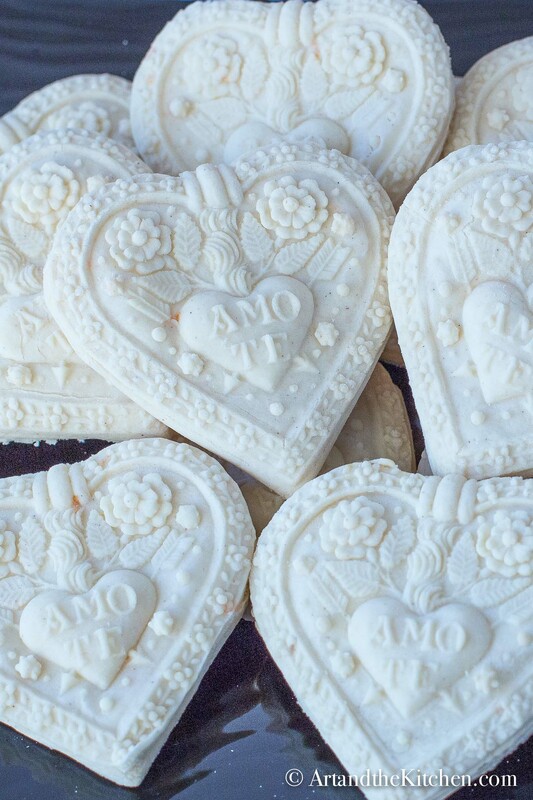 Chocolate Springerle Cookies can be made with traditional wooden molds, cookie stamps or beautiful rolling pins from InMyWood. 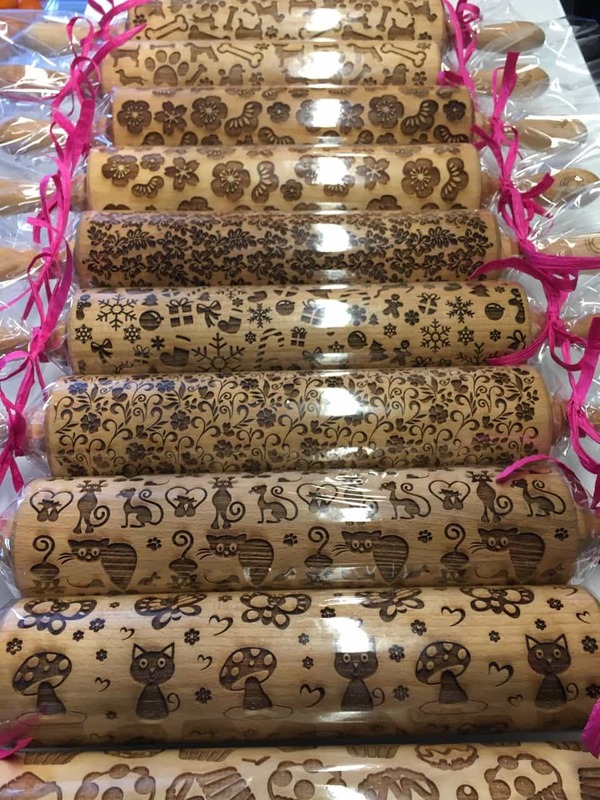 Enter to win one of their beautiful rolling pins to make your own printed cookies! For those of you who want to order your own use the code “chocolate” for 10% off! Texas has lots of German towns. Most of the ones in my area have kitchy antique shops and a German restaurant or two. Fredericksburg is one of my favorite Texan German towns. It’s on the Hill Country Wine Trail so it’s a nice drive and it’s large enough to have some interesting shops. I discovered Springerle molds in a kitchen shop in Fredericksburg. They’re expensive so I began my collection with just two. That sufficed for some time but they’re so beautiful and the cookies you make with them are also so pretty, I’ve been adding one a year for some time. I was thinking about this post when In My Wood contacted me about a giveaway and discount on their engraved rolling pins. They’re based in Poland and make sturdy birch rolling pins. If you can’t find a design you want, they will help you design your own. These rolling pins also work amazingly well with fondant or pie dough. 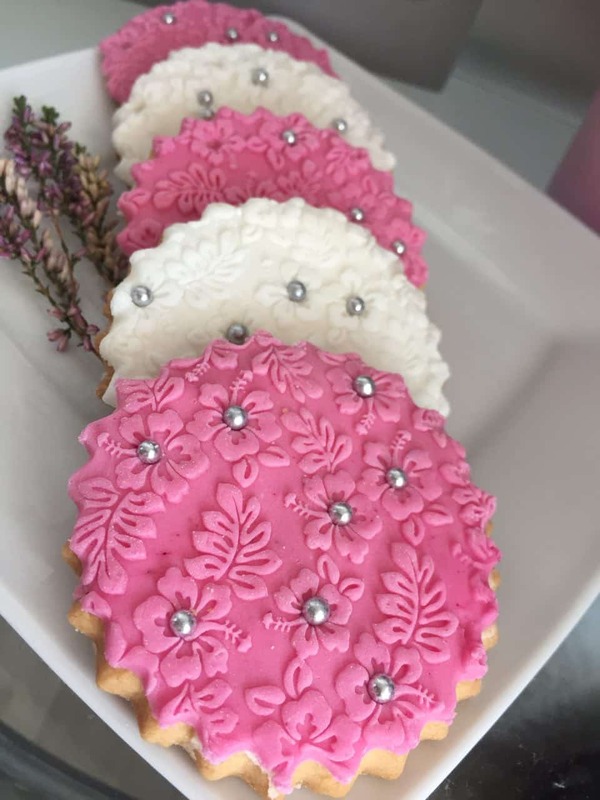 Check out the beautiful cookies made with their Hibiscus rolling pin! I worked with a graphic artist to design the Peace and snowflake rolling pins that we’re giving away for this contest. In addition to these two In My Wood is also giving away a hibiscus, a flower and a Christmas rolling pin. You have five chances to win! And, this contest is open to anyone anywhere because In My Wood ships worldwide! 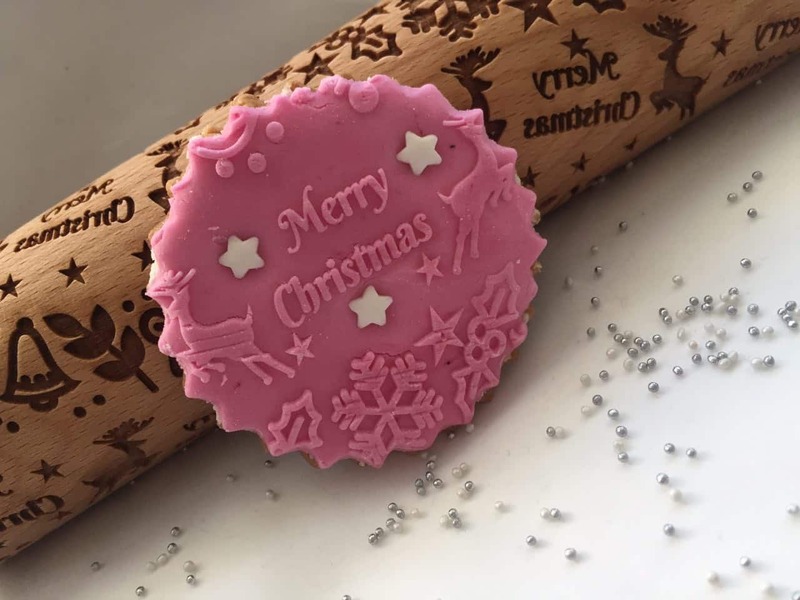 The great thing about an engraved rolling pin is you can quickly make beautiful designs on your cookies, pie crust, or fondant without much effort. Even young children can roll out pretty designs on the dough. I used a pizza cutter, a pastry cutter and a biscuit cutter to cut out my chocolate springerle cookies. Traditionally Springerle cookies are anise flavored. I’ll post a more traditional recipe later. 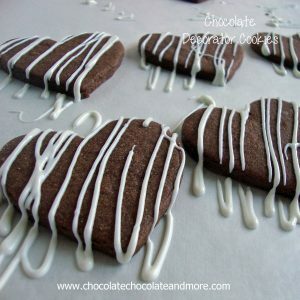 For this post, I wanted to experiment with different types of cocoa so I made chocolate Springerle cookies. I used Santa Barbara Chocolate black cocoa for the almost black cookies. It gives an “oreo” flavor to chocolate baked goods. I used brown cocoa for the brown cookies. Of course, you can just roll this dough out to make traditional “sugar” cookies if you like, but they’re much prettier with an In My Wood rolling pin! In a separate bowl, cream together butter and sugar. Beat in eggs and vanilla. Mix in flour mixture one fourth at a time. If using springerle mold, break off small pieces of dough and roll them out to the size of the mold and about ¼ inch thick. Dust mold with flour, place rolled piece of dough over mold and roll out on top (or press by hand). 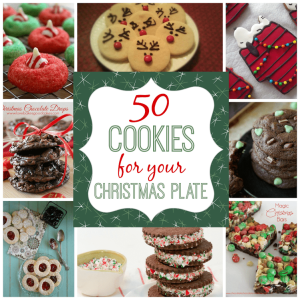 Remove cookie from mold and place on prepared cookie sheet. If using engraved rolling pins, roll out dough with plain rolling pin to about ¼ inch thick. 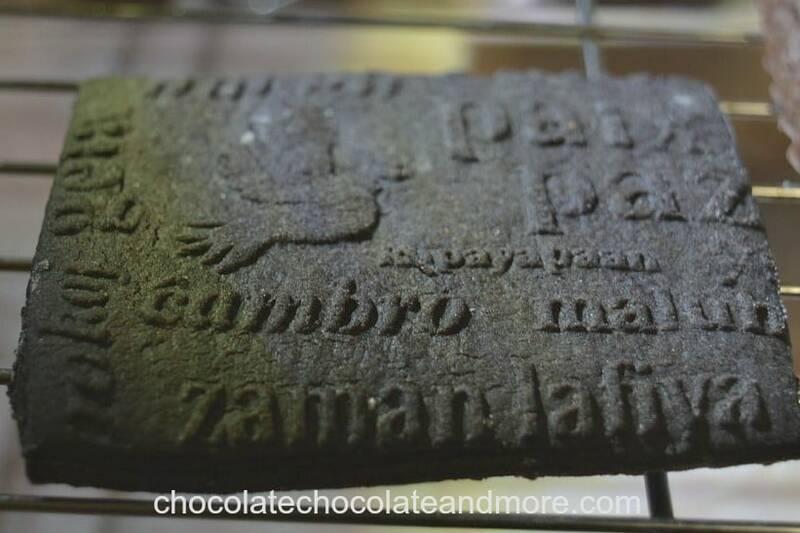 Make sure the top is floured and use engraved rolling pin to imprint the design on the dough. The final thickness should be about 1/8 inch thick. 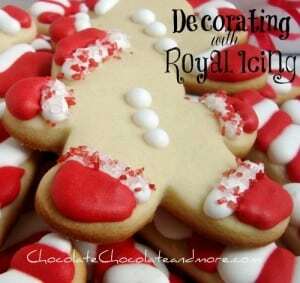 Use cookie cutters or pastry cutter to cut out cookies. Bake at 375°F for 10-15 minutes. Cool on wire racks. 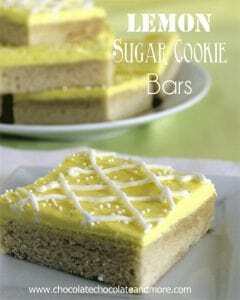 Makes about 8 dozen 2½ inch diameter cookies. You are great ! I admire your work, especially after I have read the story behind ! We have to stick together ! God bless you and your loved ones ! Oh, I have to try this recipe, was given my mom’s Springle rolling pin. She said, ” You’ll get more use out of it.” Now I will. My mom made springerle in the traditional manner when I was young. I thought they were the worst things ever! Even her enchanting special rolling pin couldn’t salvage the hard, black-licorice-flavored biscuits she made. She swore they were fantastic when dunked in coffee. That’s fine if you like coffee AND black licorice! On the other hand, YOUR version of chocolate flavored springerle might be worth a shot! They’re awfully pretty! Thanks so much. High quality cocoa from Santa Barbara Chocolate really makes a difference! Thanks for the great giveaway! I have wanted an engraved rolling pin for a long time. Love your recipe too! I hope you win. We’re ending the giveaway on Sunday to make sure the winners get theirs in time for Christmas baking.